The knees are often the first to feel the wear and tear of years of abuse. It can lead to osteoarthritis and other knee conditions. When you have strength and flexibility around the knees, it also reduces the probability of bursitis and tendinitis. You’ll improve your mobility, which also is important for maintaining a program of exercise and good health. 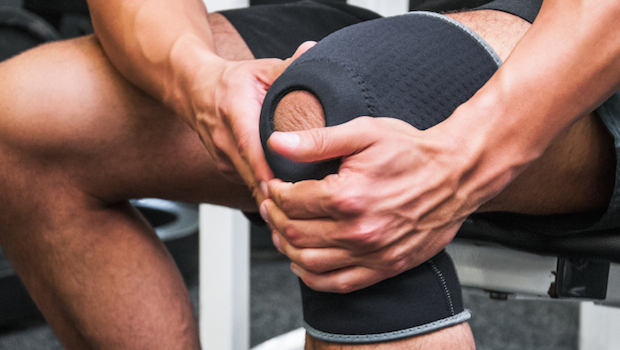 Here are some of the best knee exercises to help you build strength and flexibility. You should do them about two to three times a week making certain you leave at least 48 hours between sessions or recovery. Stretching daily during warm-ups can be done every day and improve the flexibility as well. Make sure you warm-up before starting any workout. Do a straight leg raise for strength building. You can do this exercise with two different forms. The easiest is with one is laying on the back with one knee bent, foot flat on the floor and the other leg extended straight out. Lift the extended leg to the height of the bent knee, lower and repeat 10 to 15 times. The other form of the exercise leaves both legs stretched out straight, raising one six inches off the floor and holding it for ten seconds. Keep the abdominal muscles tight as you do. Repeat this one five times on each leg. Avoid arching your back. It helps to put your hands under the lower area of the back. With both legs extended, you get additional core strengthening. Here’s another you can do two ways. The first technique you lay on your stomach on a mat on the floor with your legs extended. Bend your knees and slowly raise the lower leg, attempting to get your heels as close to your bottom as possible. You’ll feel the pull at the back of the thighs. Three sets of 15 is a good starting point, but if do as many as you feel comfortable if that’s too many. If you’re at work, you can do a standing form of this exercise. Hang on to the back of a chair and lift one leg at a time, attempting to hit your bottom with your heel each time. Alternating prone leg lifts strengthen the area around the spine, hips and knees. You’ll be doing a slow flutter kick with one leg at a time, laying on your stomach and building a number of areas. Lay flat and as you tighten the muscles in your bottom, slowly lift one leg, keeping it straight. Lift as high as you can and hold to the count of five (five seconds), then slowly lower and repeat the movement until you’ve done ten. Repeat on the other side. – Always start with simple muscle strengthening exercises such as the ones given and hip abduction or hip raise before going on to more advanced ones that work specifically with the knee joint. You want to build all the surrounding area first. – Squats, lunges and step ups are an advanced form of knee strengthening. Build to these to ensure the muscles are strong enough to prevent pain. – Simple movements you can do throughout the day, such as going up on your toes—calf raises—while supporting yourself with a hand on the wall or chair, can help strengthen the legs and build the muscles around the knee. – Always check with your health care provider before you undergo exercise of any type. This is especially true of knee exercises.